LAKE PARK, Fla. — April 7-13 is National Crime Victims’ Rights Week , and several events are planned in Palm Beach County and along the Treasure Coast. “It gives those who have yet to come forth and speak up, to speak up,” said victim Ashley Foster. Foster was 13-years-old when she was abused by her cousin. 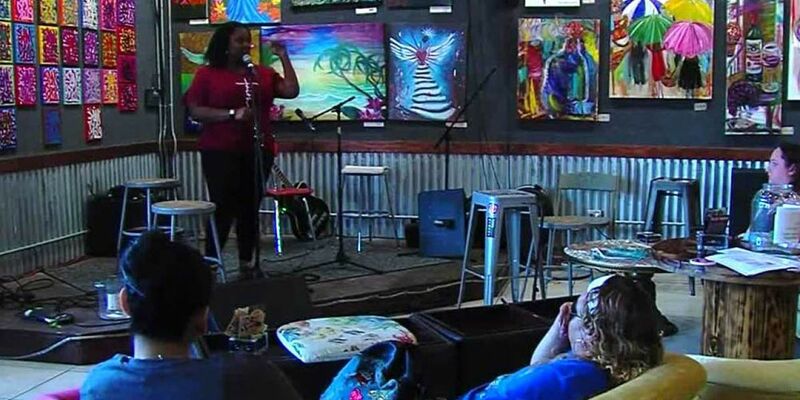 The now 27-year-old spoke Sunday to a crowd at Brewhouse Gallery in Lake Park about her story. “It scared me a lot and had me going through anxiety galore,” said Foster. In 2014, Florida lawmakers passed Ashley’s Law, which removed the statute of limitations for victims of child molestation. “It was kind of hard to deal with something like that at such a young age,” said Foster. Foster waited years before coming forward. Once she did, according to the law at the time, she was 60 days too late. She now advocates for others to not be afraid to seek help. “Empathy is a word this language that we are taught so hard to ignore but nothing could be more important to everyone’s existence,” said victim Anoki Simpson. Simpson performed Sunday for the same crowd Foster spoke to. She says without the help from the Coalition for Independent Living Options, which helps victims of abuse, violence and violent crimes, she wouldn’t have had the bravery to share her story through her music. “I lived through that, so that can never affect me the same way which makes you kind of impervious to the situation and imperviousness is a quality only super heroes posses. It makes you kind of a super hero and that’s something to smile about,” said Simpson. Click here for more information on events planned this week.